Why check your power cables ? 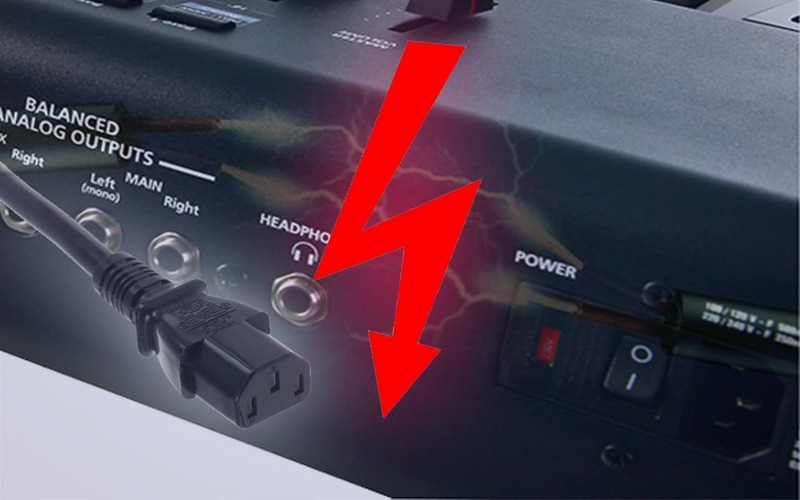 By testing my “Schuko” plugs, I realized that many of them were reversed. But the on/off switches usually cut only one connector: the hot. If the hot is reversed in the socket, the electric current always comes into your machine because the phase is “active”. There are leakage currents that will create parasites. Respecting the direction of connection of the components (transformers, etc.) makes it possible to minimize electrical pollution. I also noticed that an UPS with an inverted cable, even shut down, always delivers an output current between 30V and 70V. CEI 60320 C13/C14 : Neutral & Hot must be reversed when viewed from the front. Discard all plugs that do not meet this standard, or use them for anything other than audio. Hot should be to the right. To find the phase, use a multimeter. the current must be 230V (or 110V) between hot and neutral and between hot and ground. Power your set from the same outlet to be sure to have the same electrical hot between your devices and avoid possible surges between them. Check that the mass of all your devices is connected to the ground. In perfect world, the audio mass and the ground should be different, but most machines have an audio mass and a ground connected in their manufacture. Indeed, test the continuity (beep function) between the mass of a jack connected to the output of your machine, and the ground (or a screw) of the same machine, you will see that the 2 are connected. Check with a multimeter that all your machines are grounded. Test the continuity between the Earth of your power strip and a screw of the machine, the mass of a connector or a metal part. Connect your racks to the ground and your sound cards with an 1.5mm2 cable. the links will be perfectly equipotential, decreasing the noises. I connected my sound card to the chassis by a switch in case I have to cut the ground. Avoid electric reels or wall plugs, the connections between the different sockets are often reversed inside (cross-wired) to save production costs. Use only “bar” power strips where the senses are respected. The ideal installation with UPS. use an UPS, you will be more serene. in case of break during your absence from the stage or during the show, you don’t need to restart the machines. So you can achieve a clean shutdown before a hurried technician disconnect everything during the final backup! This entry was posted in Infos, Tips.